Speeding Up Your Metabolism: Is It Possible? Most people have heard that a slow metabolism is responsible for weight gain and speeding up your body’s metabolism will help with weight loss. Your metabolism is the rate at which your body burns the calories it consumes. The faster your metabolism, the more calories you burn simply resting, as opposed to working out. So is it possible to speed up your metabolism or are you simply stuck with what you have? 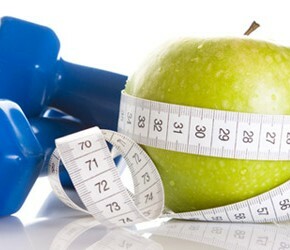 The good news is there are many ways you can boost your metabolism and help your body burn calories more effectively. Many people make the mistake of skipping breakfast, be it because they’re late for work or they don’t think it’s important. Going all night and most of the morning without food triggers a reaction in your body, making it feel like it’s facing starvation. This slows down your metabolism to conserve fat. Eating breakfast each morning keeps your body burning calories at a normal rate. If you decide to eat a large meal do your best to ensure it’s earlier in the morning and never at night. This enables more calorie burning. It’s also a good idea to eat dinner as early as possible in the evening and don’t eat again until breakfast time. Another huge mistake many people make while trying to lose weight is cutting back on calories too much. If you really want to speed up your metabolism make sure you’re eating enough calories each day. Women, for example, need at least 1,200 to 1,500 calories daily while men need 2,000 to 2,500. Not eating enough is a sure fire way to slow your metabolism and sabotage your weight loss efforts. Exercise is another important step to speed up your metabolism. Strength training at least three times each week builds lean muscle mass which improves your metabolism a great deal. Also, include aerobic exercise like walking or swimming daily. At least twenty minutes of exercise daily is enough to boost your metabolism noticeably. Drinking plenty of water each day is an excellent way to boost your weight loss efforts. Water fills you up, keeps hunger at bay and prevents dehydration. A properly hydrated body works better as well and burns fat more effectively. Eliminate alcohol from your diet, too, as alcohol can greatly slow down your metabolism. Jenny Craig vs. Nutrisystem: Which is Better? Many people get these two weight loss meal replacement plans mixed up as there are many similarities. Both are easy to use and require no calorie counting or point tracking. 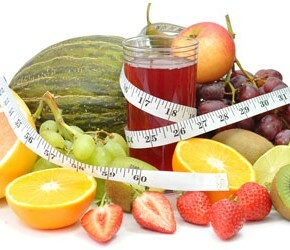 They are also both endorsed by celebrities and provide the food for you, eliminating much of the trouble of dieting. Here’s a guide to help you understand the big differences between these two plans and figure out which is best for your needs. Jenny Craig and Nutrisystem both offer a variety of pre-packaged meals that are delivered to your door. You’re given the opportunity to select your snacks and meals according to your preferences and then order them in a one-month supply from the company. Foods are high in protein but low in calories and carbs for a filling meal that aids in weight loss. Weight loss with Nutrisystem and Jenny Craig is similar and both companies offer popular foods like pizza and chocolate desserts. Perhaps the biggest difference between these two meal replacement plans is the level of support you receive. Jenny Craig encourages visits to local clinics where you have the opportunity to work with an assigned counselor for weight loss assistance. You may also use the website to contact your counselor. Jenny Craig recommends that you talk with your counselor at least once weekly and there is no additional cost for this weight loss help, although there are membership fees. Nutrisystem, on the other hand, is mostly a stand-alone meal replacement plan that assumes you will follow the guidelines of the program. There is some support, although it is completely online. This is a free service and you pay only for the food. Counselors are available by phone, although it is easier to use the chat feature online. This step is not mandatory like Jenny Craig and works best for some individuals. Both meal replacement plans require you to pay for pre-packaged meals and the cost is very similar, averaging around $10 each day. It is possible to get a significant price difference, however, based on specials that run occasionally. Nutrisystem does tend to be cheaper though as there is no membership cost to cover counseling. Both plans are so comparable choosing one really depends on your preference. If you want a more personalized experience with face-to-face help from a counselor, Jenny Craig is probably the best choice, although you will pay a bit more for this advantage. If you simply want pre-packaged, low-calorie food to lose weight, Nutrisystem is your best bet.